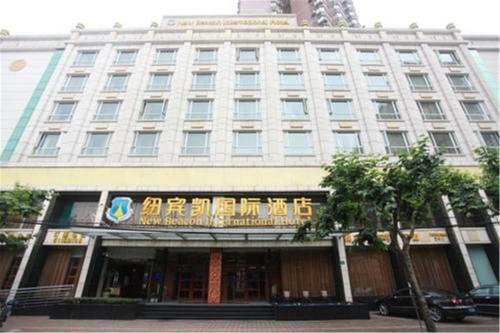 The hotel is well situated near the Shanghai South Railway station with great professional staff that speak English. Very comfortable with a concierge service that will assist you all hours of the day. Great facilities such as a pool , gym and spa. This was by far my favourite hotel in Shanghai. Nice hotel. Enjoyed the stay. The exhibition is very near. And bank also with hotel to exchange the dollar. Hotel refreshment room also world class. This hotel is recomanded to stay during the visit at Shanghai. it was in general a pleasant stay. nice room, good service and convenient location. 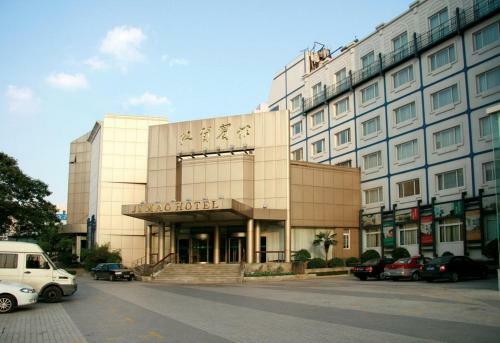 The hotel is just 20-30 minutes in a taxi from Hongqiao Airport and also has good connections to central Shanghai by subway. The rooms are large and comfortable, although perhaps a little plain. The pool, gym and spa are excellent. Room service was very tasty and arrived promptly. 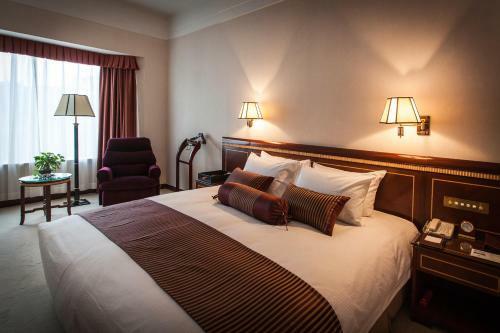 Nice hotel and location in the heart of the old french quarter and close to the subway station. Many restaurants and bars on Hengshan road. Several bar features a live band playing authentic americam blues or singing song on customers request. The Picardie hotel is also close to the Everbright convention center about 16 yuan for the ride. great hotel, centrally located within close proximity to restaurants and bars,easy access to taxi and train,rooms are little smaller, but good for two or one person,staff are very friendly from security to cleaners, hotel managers are really helpfull and friendly,this is something you won't find in majority of hotels in china,managers speak english and will help with anything. quite at night except rooms close to cleaning and maintenance area 0room 126 bit noisy as my other mate stayed and complained about. i don´t write this for any rewards, i write becouse realy is a fantastic hotel and was so complain (happy) with every think. A hotel designed by one of my favourite Swiss Architect Mario Botta. Located in a quiant neigbourhood of Heng Shan Lu. Room is nicely fitted out with big firm bed, little seating area, bathroom is luxurious. Coffee machine with free soft drinks in the mini bar. Breakfast is great too! Subway station is right in the hotel. It was a bit far away from central city but there is a very convenient subway nearby so all good. It costs just 4 yuan to get to the central. Room was very big and very comfortable bed. Thanks heaps! Everything you needed for a pleasant stay! The room was good size and very cosy, mind you it was winter and -5 degrees outside. Good hotel but the location is not good enough if you want to take public transportation. The staff was very helpful and accommodating. Has a one night transit stay. Found out that the hotel was match-able to those 5star hotel in comparison PRICE Vs COMFORT !! Wish I had stayed longer. It was a breeze moving around and no problem with food and night entertainment at all. I didn't have any problem, o got there one day later due to transport [problem, but I called them in time to notify them the problem I was experiencing. I got there the next day and everything was fine. Came across ramada plaza shanghai gateway while browsing for a decent hotel stay for my first time trip to shanghai. Booked for 4 nights. I was surprised how convenient the hotel is located where all the shops are just outside. Starbucks, costa coffee, dunkin donuts, kfc, subway, bakeries, convenient store, thai restaurants and muslim restaurant just around the hotel. Besides that, me n my friend are satisfied with the room, decent nice and comfy beds.. definitely one of my best holiday I had. As for me great location is important for a hotel that's why this hotel will always be my choice for my next trip to shanghai. The hotel staff were great they assisted with many requests that I had such as providing me a large jug to mix in drinks when I had friends over, gave me a scissors when I requested, gave me speakers so I could listen to music, and so on. There were many occasions where they would do everything to help you such as even helping order a channel that was in English for me (hbo). Very lovely stay but to be fair I was in the most expensive room. Just to mention the hotel only has wifi in the reception. But I had a business room with a computer and lounge in my room so had Internet but for others they may not have this option. The online tariff of the Hotel is very cheap with five star facilities. I decided if I am in China I will in Best Western Sunshine Hotel. Added advantage of this Hotel is that they have proivded Bus for those who will go to attend Exhibitions in New Puding International Expo Exhibition. everything was just great from the reception to the concierge to housekeeping to kitchen... great! I stayed for a week and experience was very good. The room is big and spacious, the staff are friendly and helpful. Xuhui – Xujiahui & Expo is an offshoot of Shanghai’s historic quarter. It lies west of the Huangpu River and was originally owned by a Ming-dynasty scientist. It later passed to the Roman Catholic Church and became an important residential area for expatriates. The focus eventually shifted to industry, but Xujiahui still has hints of historic charm. While the main attractions in Xuhui are farther to the south, plenty of historic atmosphere lingers in Xuhui. Hotels in Xuhui – Xujiahui & Expo are still within convenient reach of popular sites like the Longhua pagoda and Shanghai Botanical Gardens. Well within the district is Xujiahui Cathedral, a Gothic structure that hosted the world’s first-ever Mandarin mass. Xujiuhui has less heritage homes, focusing instead on modern, commercial enterprises. Several major shopping centers are in the area, connected to the rest of the city by the metro. There are stations at Changshu, Hengshan, Damuqiao and Dongan roads. The district committed to major construction projects in anticipation of the 2010 World Expo, and onsite infrastructure is better than ever. The district also hosts the consulates of the USA, Germany, Italy, Turkey and Slovak Republic. Anyone with business at one of these consulates benefits from accommodation in Xuhui – Xujiahui & Expo.